Following the heartbreak that was Avengers: Infinity War, a major thing was on all fans' minds: Captain Marvel. The newest superhero to the Marvel Cinematic Universe not only made us excited as she will have the franchise's first female-led film, but also gave us hope as to how she could use her powers to possibly ​help the Avengers. ​And finally, the much-anticipated trailer for Captain Marvel is here! Meet Carol Danvers. We know Captain Marvel's story will be vital to the next Avengers film, and it looks absolutely epic so far. Academy Award-winning actress ​Brie Larson takes the lead as the titular character, showing off her costume and power in the trailer. From the clip, we now know Captain Marvel will start with her already having her powers, not exactly as an origin story for the character. The story takes place in the 1990s, before any other MCU films. 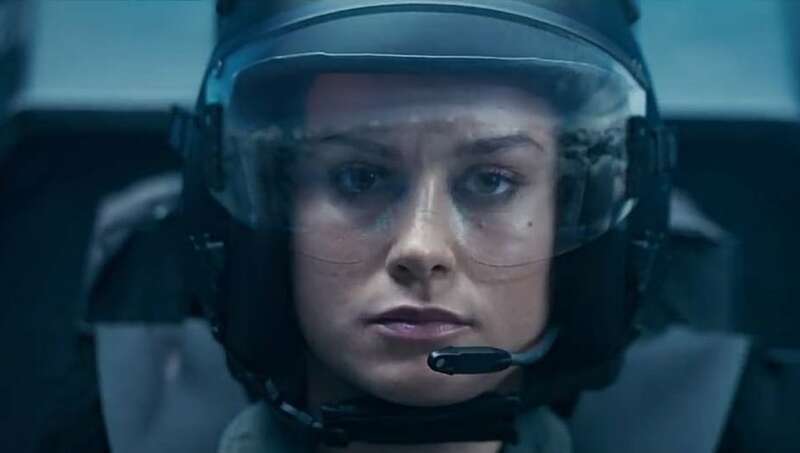 The comic book story of Carol Danvers explains she's an Air Force pilot whose DNA is fused with an alien, resulting in her superpower strength. Larson is joined by Samuel L. Jackson reprising his role of Nick Fury, ​Jude Law, Ben Mendelsohn, Gemma Chan, Annette Bening, Djimon Hounsou, Clark Gregg and Lee Pace. Marvel Studios president Kevin Feige ​called our new superheroine “more powerful than any character we’ve introduced thus far," so obviously, we're excited. Captain Marvel hits theaters March 8, 2019.